Jl. Poppies Lane 1 Agung Art Market Kuta - Bali, Indonesia. Nestled between Poppies Lane 1 & 2, Kuta Townhouse Apartments is located at the very heart of Kuta, Bali. Just 5 to 10 minutes walk to many nearby locations which includes Kuta Beach, Beachwalk Mall, Hard Rock Cafe, Matahari Shopping Centre, Kuta Art Market and a walk down Legian Street where an abundance of shops & restaurants to suit your taste. 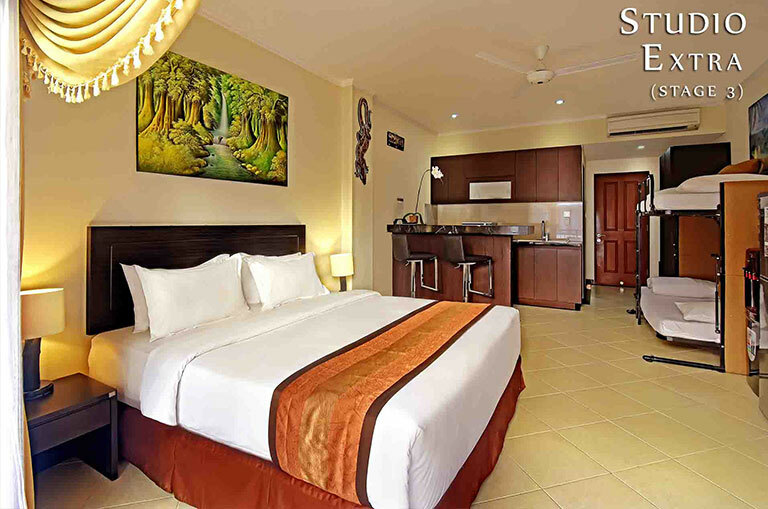 Whether by day or by night, Kuta Townhouse Apartments is simply stunning with its spacious serviced apartments and providing guests with the facilities to match. 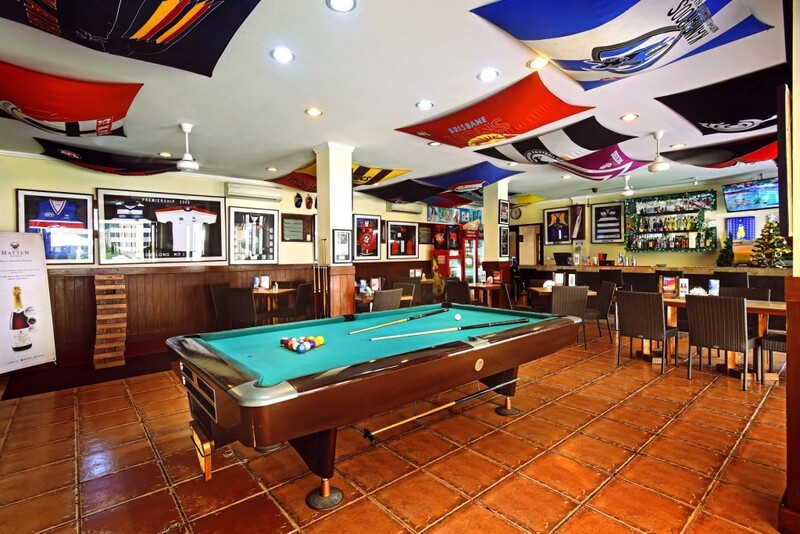 Plunge pool, Swim up pool bar, 25m Lap pool, out door jacuzzi pools, kids pool, sports bar, billard table, TV with Australian channels and Gymnasium. Hotel includes a buggy service providing guests to various destinations around Kuta, Legian & Seminyak operating from 8:00am to 10:00pm daily. We have 2 restaurants and they are a MUST TRY. 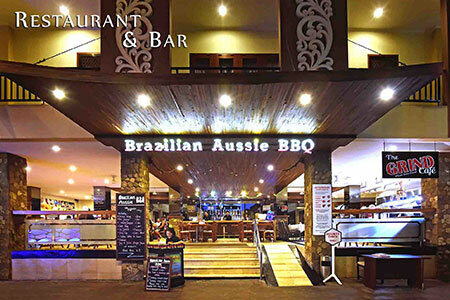 “Brazilian Aussie BBQ“ & “Bali Black Stump Restaurant” which serves all Australian Imported meats. 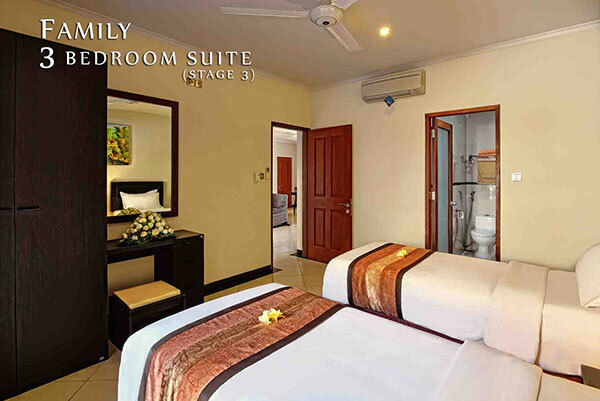 Kuta Townhouse Apartments suits everyone from a single business traveller, a couple, families or even a large group. It is a place where everyone calls it a home away from home. 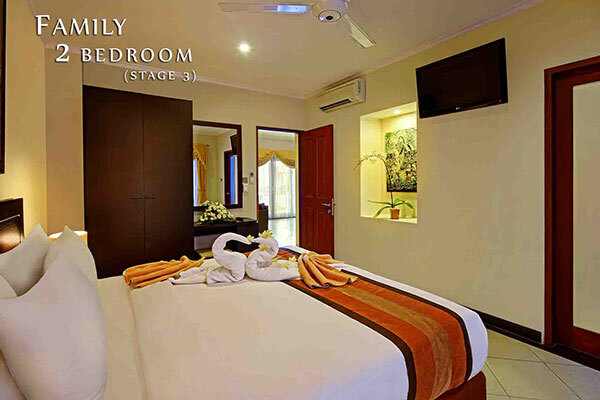 Kuta Town Houses offers luxury apartment style accomodation both self contained and serviced, at an affordable price. 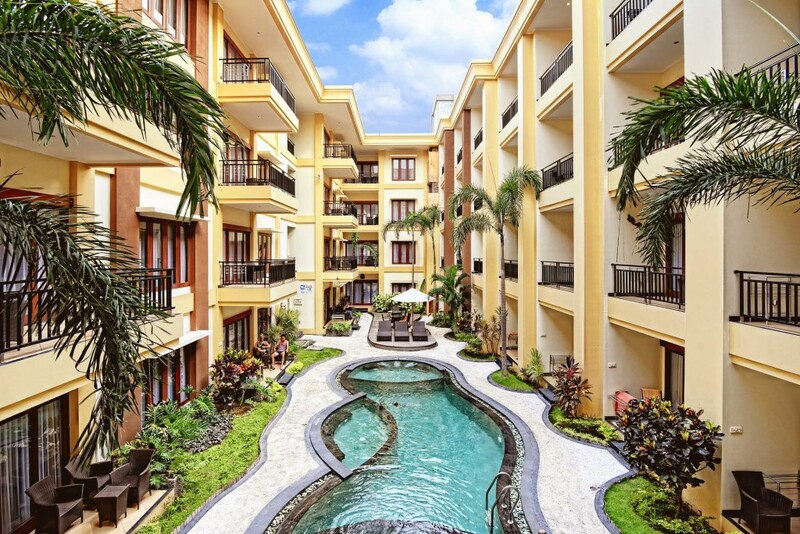 Kuta Townhouse Apartment offers various types of spacious apartments beginning from a Hotel unit to a 1,2 or 3 bedroom Family Suite with four different huge pools and fantastic restaurants. Enjoy our great foods from our great chefs! Our Brazilian Aussie BBQ is a must try! Copyright © 2006 - 2017 Kuta Town Houses. All rights reserved.